Ibiza Disco Ticket offers the most comprehensive guide to the Ibiza Clubs nightlife. Check out the the calendar and party schedule of the world's best Clubs ( Amnesia, Pacha, Ushuaia, Privilege, Sankeys, Eden, DC-10, Es Paradise, Ibiza Rocks Hotel, O Beach & more clubs ) and reserve your Ticket for just a 5,00 euros deposit! Tickets can then be collected from any of our outlets in Ibiza and your deposit is fully refundable and tickets are exchangeable for all the clubs. For no extra cost, ensure tickets to your favourite nights are reserved so you don't miss out. IBIZA USHUAIA CLUB Ushuaïa Ibiza Beach Hotel offers a revolutionary new hotel concept based on a modern environment where design and a relaxed setting are the main protagonists. The hotel will offer five room categories all themed with state-of-the-art features and special amenities from chromotherapy to aromatherapy. Offering a combination of chic beach club, dance venue and stylish hotel, the property aims to bring back the heyday of outdoor Ibiza where style, sunshine and dance dominated the party scene. Minimalism and the latest technology provide a backdrop for Balinese temples, crocodiles sculptures and even a 3 m elephant statue nestling in the tropical undergrowth. Spectacular water features are everywhere, cascadi through the sushi restaurant, past the 'swim-up' rooms and in the central pool that comes complete with an aquatic bar. Rooms follow the minimalistic theme and feature LED light chromotherapy, aromatherapy, amd blackout curtains to adapt to your mood. Spectacular LED panels are flashing across the facade. Underneath those lights next to the reception, sushi restaurant and fashion shops is amusical surprise: a state-of-the-art recording studio. If the walls of this old finca could speak, their tales would fascinate you, you may have even been a part of them. From Alfredo's early days to the Oakenfold-Rampling Holloway experience in 1987 through mammoth residencies such as Up Yer Ronson, Cream and Cocoon, Amnesia has always been a true temple to clubbing. A cavernous main room with the god like elevated DJ booth that has seen pretty much every name in dance music history grace its decks, from which point nights of pure hedonism and lucid malevolence have been composed and experienced by the swinging multitude in the pit of a dance floor below. VIP - Amnesia VIP area is like another club in itself and is situated above the dance floor; on balconies in the terrace and tiered upwards in the main room. With a capacity, across both rooms, that is close to 1000 when full to bursting (try every Monday at Cocoon for example), the VIP alone has 4 bars and extensive tables overlooking the masses below. PACHA IBIZA CLUB The Godfather of ibicenco nightlife, Pacha Ibiza club has been at the top of the tree since 1973 when an old finca in the marshland outside Ibiza Town was used for parties bearing the now globally franchised name. Pacha has more charm and character than the rest of island's clubs put together; its endless stairs that interconnect all the rooms, the maze of tiered levels in the main room, the first time you discover the funky room and then stay all night - this is Pacha club. There is something about Pacha in Ibiza that oozes class - the original clubbing with style - this is where the rich and famous come to party, yet the music has always been the core component of the club's success! Although there have been the odd variation with nights like Perfecto or Renaissance, Pacha is generally a house music only zone, though it must be recognised that that tag includes everything from the deep and smooth of Def Mix through the high energy and singalongs of Erick Morillo to the blatant sound of F*** Me I'm Famous. HARD ROCK HOTEL IBIZA Hard Rock Hotel Ibiza is the first Hard Rock Hotel in Europe. An oasis of pure entertaintment that combines the style and energy of the brand and Ibiza. From our unsurpassed collection of rock memorabilia to the internationally recognized live acts performing at venues right on site, you'll be surrounded by the sound day and night. Who knows— you may be the next individual moved to pen lyrics and notes in tribute to our unique slice of paradise. Hard Rock and Ibiza are inextricably immersed and inspired by the power of music. The two combined make for a musical experience you'll never forget. 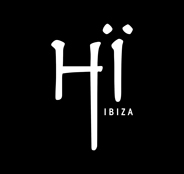 HI IBIZA CLUB Hï Ibiza is a new club by Ushuaïa Entertainment located in the heart of Ibiza clubland, Playa d'en Bossa. Opening in summer 2019, this state of the art venue will showcase the most exciting names in electronic music, bringing together serious music lovers to experience a nightlife evolution. Hï Ibiza (formerly known as Space) is located in the heart of Ibiza clubland, Playa d'en Bossa. Opening in summer 2019, this state of the art venue will showcase the most exciting names in electronic music, bringing together serious music lovers to experience a nightlife evolution. IBIZA DC-10 CLUB Despite being around for over 25 years, this outpost of buildings known as Can Miquel or dc10 is Ibiza's most talked about and controversial club of the last decade - bar none - and it's all thanks to one party. The club, that once had a plane on the roof, began life as just another bit-part small space for random parties until the now very well known Italians Andrea and Antonio, with a little bit of help from Charlie Chester, started a Monday morning afterhours to complement the popular Home Sundays at Space, which finished at 6am. Circo Loco was marvel of Ibiza afterhours clubbing. free entry, true open air clubbing and top quality house music that never wavered far from tribal, which was flavour of the month. That people like Sasha, Danny Tenaglia, Pete Tong would turn up unannounced and play for free, and sometimes not be allowed on the decks, became part of the growing legend of the club. Gradually, the afterhours party became a party in its own right and the whole operation became much more commercial, even Mixmag was doing cover features on it by 2002. IBIZA PRIVILEGE CLUB The self-proclaimed 'World's Biggest Club', the club formerly known as Ku had been a classic open air party place for the Ibiza jet set during the 1980s with a swimming pool (over which the DJ booth would later be situated) that became emblematic of the club's flamboyance. After legislation banning open air clubs, Privilege had one roof collapse in a storm before the aircraft hangar of a club we see today was created in the early 90s. Changing from Ku to Privilege in the early 90s, though it was still called Ku by most people (and promoted that way on flyers), it was to be Manumission from 1994 that would bring the club its greatest notoriety. For over a decade, but particularly from 1997-2002, Manumission was quite simply a monster, bringing in close to 13,000 on the busy nights and influencing the whole modus operandi of bars and restaurants on the island each Monday evening. DESTINO IBIZA Destino Pacha Ibiza Resort is the latest adventure from Pacha Group. Standing atop the cliffs of Cap Martinet, on its own corner of the island, its location offers a spectacular panoramic view of the Mediterranean. The resort embodies 163 rooms and suites, some featuring their own private garden with infinity pool, outdoor lounge and dining areas. Every room offers the perfect blend of style and comfort, integrating the indoors with the outdoors. The restaurant, with a capacity for 250 guests, features a fusion of Japanese, Mediterranean and Central American flavors made from fresh local ingredients. IBIZA ROCKS HOTEL The Ibiza Rocks Hotel sits right in the heart of San Antonio just 500m from the famous Sunset Strip and 300m from the West End. Since the Ibiza Rocks Hotel opened in May 2008 it has become THE destination hotel for a new generation of music lovers. This branded Hotel on the site of the former Hotel Club Paraiso, now plays home to all the Ibiza Rocks events and includes a purpose built and permanent stage set up, locating within the central courtyard of the Ibiza Rocks Hotel. Other than the stellar entertainment programme, the Hotel itself is packed with facilities and things to do. Ibiza Rocks Hotel features 2 outdoor pools, one of which plays host to daily pool parties with the biggest club brands around, 2 bars the Tropicana and Lobby, as well as the Electric Bar & Grill which serves up delicious, freshly made burgers, wraps, salads and smoothies by the main pool. BENIMUSSA PARK Saturdays and Wednesdays are synonymous with partying at Zoo Project and Channel Zoo Ibiza. The island's party people all head to the old abandon zoo in San Antonio dressed up in animal fancy dress to party from day to night. There is nothing quite like this party. The music is quality electronic tech house and techno, with DJs spinning in four arenas of the venue. You will be treated to live performances from acrobatic animals prancing around in front of the DJ booth based in the seal pit of the abandoned zoo. Zoo Project on Saturdays is more mainstream while Channel Zoo on Wednesdays hosts some of the finest underground labels and dj’s. Release your inner animal and enjoy Saturdays and Wednesdays at Zoo Project, Benimussa Park Ibiza! IBIZA O BEACH O beach Ibiza, one of the most luxurious venues of the island, encapsulates the ultimate beach club dedicated to creating a unique and luxurious lifestyle experience for those looking for that ideal daytime destination to relax and party under the Mediterranean sun. Situated on the West Coast of Ibiza in San Antonio, O Beach is located on the S'Arenal beach front with beautiful ocean views by day and the stunning Ibiza sunset at dusk. SANKEYS IBIZA CLUB Legendary Manchester clubbing institution opened Sankeys club in Ibiza in the 2011 season with 110 parties taking place. Sankeys Ibiza is a brand new state of the art club with four rooms and features the revolutionary VOID Accoustics Soundsystem which has been voted best Soundsystem of the year. LED walls, LED cage, LED ceiling with the VOID Soundsystem in there. The club is even equipped with a cinema room. No expense has been spared. Situated in the heart of Playa d’en Bossa, it boasts four rooms to play in; the Spektrum, the Basement, the Terrace and the Boutique. The Basement room is designed with the dimensions of the original Manchester Sankeys in mind, meant to emulate its parent venue complete with LED screen, fully-lit ceiling and vibrating Bodysonic dance floor. The smaller Spektrum second room is similarly decked out with LED lights, and the Boutique room upstairs features Spanish tiles and armchairs, adjacent to an open air roof terrace and smoking area. Sankeys is a 1500 capacity club with a fresh new set of line-ups and parties for Ibiza. IBIZA ES PARADISE Es Paradis Terrenal translates as Paradise on Earth and anyone who has stepped inside this beautiful arena will testify to the worthiness of such a title. Like a cross between a Greek temple and a garden centre, this arena is perhaps the most ornate clubbing space on the globe. Established in 1975, Es Paradis is one of the founding fathers of Ibiza clubland, yet it is the notorious water parties held here, combined with its pyramid roof, that make it iconic of Ibiza's extravagant and majestic clubs. Its San Antonio location meant that it was one of the first used by British promoters and in the mid to late 90s saw the likes of Sasha, David Morales, Erick Morillo, Danny Rampling gracing the podium like DJ booth above the small central amphitheatre of a dance floor. Since the dawn of the new millennium, Es Paradis' fall from grace could hardly have been more spectacular, with the exciting nights of the 90s long forgotten, the ubiquitous water parties remain the unique draw but if its cutting edge electronic sounds you seek, then look elsewhere. EDEN IBIZA Eden Ibiza is located in the heart of San Antonio and has been a big part of the ibiza clubbing scene since opening in 1999. The club has recently had a huge refurbishment meaning the venue is now as plush as ever, boasting a great and sophisticated main room, a second room with independent access and a powerful and exclusive sound system to Ibiza: Incubus Gold by Void - a music lover’s dream. Now for 2015, Eden has re-opened after having a summer off last year with six fantastic new nights called Colours festival; Harder Faster Ibiza; Midnight Ibiza; Cubbo nights; Judement by Judge Jules and Faux Basement. The club’s DJ portfolio includes key names in the music industry including the likes of Pete Tong, Judge Jules, Disclosure, Goldfish, Markus Schulz, Sasha, Ferry Corsten, Dubfire, Luciano, Cristian Varela, Groove Armada, Lady Gaga. HEART IBIZA In HEART we feel that Ibiza, as an international reference of electronic music, needs an innovative and different musical concept. HEART Ibiza is a creative partnership between Cirque du Soleil and the Adrià brothers that seeks to explore what happens when food, music and art collide. Designing a sound experience within our space with diverse references such as "MTV Unplugged" 90, new technologies and the real essence of Ibiza's party spirit from the 60’s is not a dream anymore. In the Club, HEART Ibiza maintains a daily live music offer, integrated by careful selection of artists. It explores present and past with a look to the future, incorporating legendary bands and young groups and other less known artists, without forgetting DJs and producers currently set the trend and create avant-garde. A synergy formed from the combination of live bands and electronic music sessions leads to impeccable visual shows, lights and performances by Cirque du Soleil, which makes these moments unique in a private and close environment away from impersonal and massive proposals. Maceo Plex's Boiler Room session as well as hosting nights for Guy Gerber and the HYTE crew. This is a perfect destination to spend all evening long dining at the wonderful restaurant and then continuing your night at the club listening to a deep set from the likes of Joseph Capriati, Marco Carola or Loco Dice. SWAG CLUB IBIZA What is SWAG IBIZA CLUB? An urban movement in Ibiza that represents versatility and outspoken people. We offer a kind of urban music combined with Hip Hop beats, Latin House , Trap or whatever we want. Our fashion style includes heels, kicks, caps, tees, high couture… dress to impress! Our movement embraces all kind of crowd that wants to feel the latest urban hits. Swag is the only dance club in Ibiza that hosts international deejays and live performances exclusively within the urban culture, 7 nights per week. The 1000 capacity club is in the center of Playa d’en Bossa, surrounded by hotels, beach clubs and unsurpringsily… the beach! The club has 3 different VIP areas, an unique deejay booth that could host two deejays at once, and a stunning lighting/visual system. EL PATIO IBIZA El Patio it's a new area of parties and pool parties at apartments bora bora Ibzia. IbizaDiscoTicket is a registered trademark.